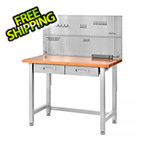 Reinvigorate your garage work space with the Seville Classics UltraHD 4-Foot Workbench. 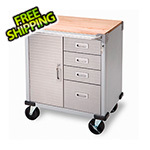 This durable easy-to-set up workbench will help create ample work space when and where you need it. 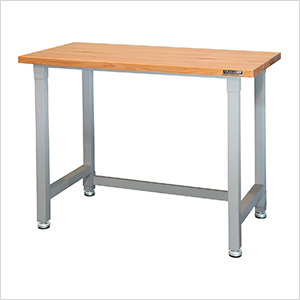 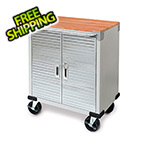 The heavy-duty workbench features a 1.5-inch thick solid wood working surface, leveling feet and a heavy-duty steel frame.